support with all the travel formalities, ISPO Munich brings them together with contacts for brands and distributors, shows them best practice shops on a retail tour of the Bavarian capital and provides a further networking platform through its evening program. Furthermore, a country-specific online platform supports the participants for easy appointment and networking in the run-up to the trade fair. The retailer program has already proven successful for French retail. In 2018, more than 600 participants came to Munich via “Club ISPO France”. The ticket structure for sports retailers has also been optimized in order to further underscore the nature of ISPO Munich as a trading platform. From 2019, retailer tickets booked online will cost just 19 euros. More information on the pricing structure can be found here. In addition to an overview of innovations and trends, ISPO Munich offers a look beyond the horizon every year. Since digitalization is also becoming increasingly important in the sports business, ISPO is focusing more heavily on digital trends, also for retail. ISPO Digitize is a platform on which sports retailers, for example, can be inspired by digital pioneers and experience the digital retail technology hands on. ISPO Digitize will be held in Hall C6 during ISPO Munich. ISPO Academy also provides internationality and knowledge transfer. It’s presented at ISPO Munich with an extensive conference program and offers conferences and seminars as well as online and offline training programs for the sports business all year round. At local conferences, for example, in France, Korea, Japan, Brazil, Poland and Switzerland, the ISPO Academy also addresses topics that affect individual markets. 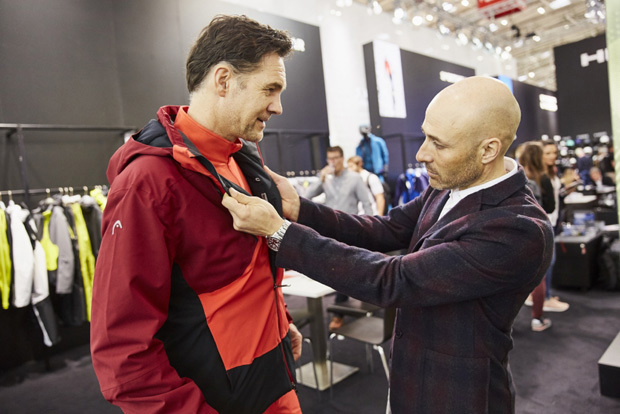 The retail program “Altogether to Munich” supports sports retailers from Austria, Italy, Poland, Scandinavia, Spain, Switzerland and the United Kingdom in their planning for ISPO Munich itself and on site. From registration and hotel bookings to arranging appointments and trade fair tours in their own language, the all-round carefree package covers everything the sports retailers need to get a market overview at the world’s leading trade fair for the sports business. The program is an extension of “Club ISPO France”, which has been connecting retailers from France with partners and exhibitors for five years now. ISPO Munich is taking place from February 3–6, 2019. More than two third of visitors who attend ISPO Munich every year are related to retail. The only multi-segment trader fair for the sports business is the most important platform for retailers and wholesalers, sales representatives and distributors from all over the world for finding out about market developments, innovations and trends in the sports world and for sharing with business partners.